Chievo have officially signed Paul-Jose M’Poku from Standard Liege, on loan with option to buy. 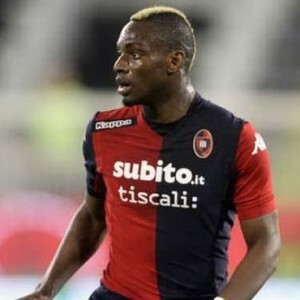 The Congo international spent the last six months on loan in Serie A with Cagliari. He will be presented to the media at Chievo’s San Zeno training camp on Wednesday afternoon. Last term M’Poku scored three goals and provided two assists for Cagliari. The 23-year-old also had experiences at Tottenham, Leyton Orient and Al-Arabi. Think you know your Italian football? Share your knowledge, tips and comments to win cash prizes in OLBG's tipster competition - £11,000 to be won monthly!